Charming home in desirable SE Neenah, south of Riverside Park, Neenah Pool and nature area, the location is ideal for activities and recreation. When entering this welcoming and spacious home your path flows to the large living room, cozy family room with fireplace or the kitchen and dining area which leads to the 4 Seasons Room and Deck. The formal dining room is perfect for entertaining. Upper level has three bedrooms including master, which has a full bath and large dressing area. Endless storage throughout. More potential in Lower Level. Beautifully landscaped lot. It will feel like home! You have searched for 705 Yorkshire, Neenah, WI located in Winnebago County WI. You can save 705 Yorkshire, Neenah, WI to your My First Weber favorites with a My First Weber account. 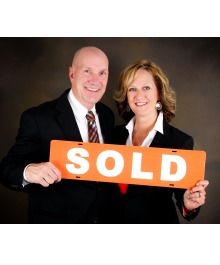 To search for properties near 705 Yorkshire, Neenah, WI, please conduct another search at firstweber.com, the most comprehensive source for Wisconsin Real Estate.